COMING IN JUNE 2012 – CU8203 Mini Megaphone Amplifier! 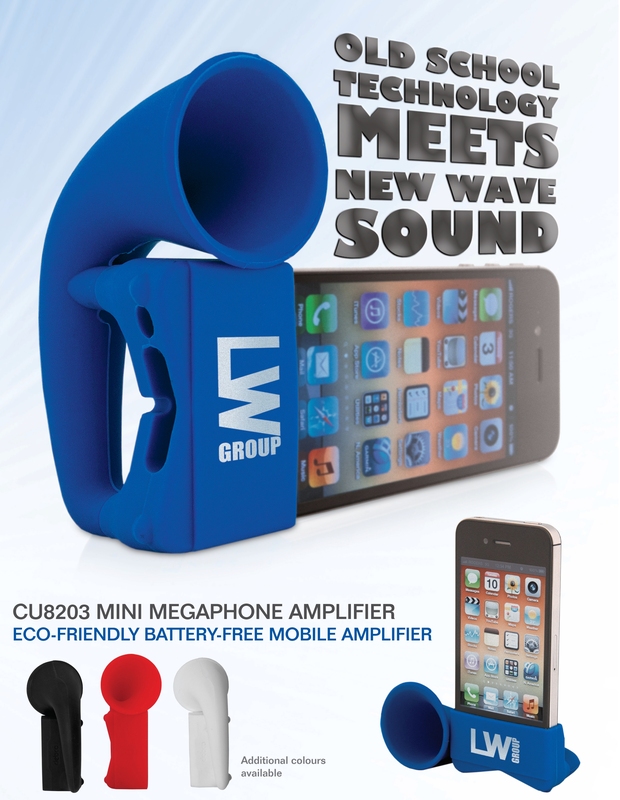 Our burgeoning line of cell phone accessories is about to grow again with the introduction of the CU8203 Mini Megaphone Amplifier. Taking its cue from old-fashioned phonograph technology, this silicone iPhone stand amplifies your music without the use of batteries or cords! 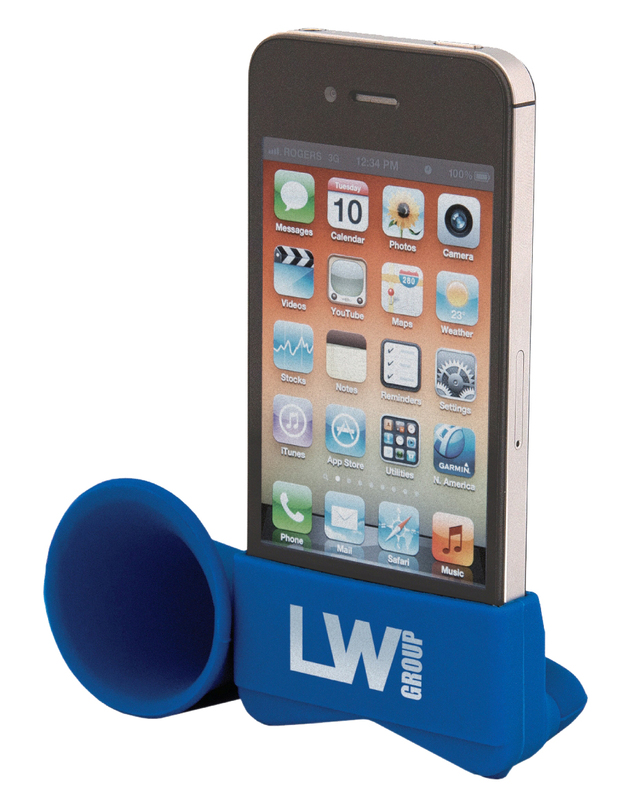 Imbued with style and fun, the Mini Megaphone Amplifier is an ideal promotional product for all ages. Use it around the home, in the office, on the field, poolside, or anywhere else you would want a bigger burst of sound. Although it’s not a speaker, the amplifier significantly boosts the sound from your iPhone’s built-in speakers. We put it to the test using an iPhone 4, and despite having no electronic components, the amplifier significantly increased the volume of our music. You have to hear it to believe it! Keep an eye out for additional CU8203 product announcements. Full stock for all colours (Black, Royal Blue, Red, White) is scheduled to start arriving in June 2012. This entry was posted in Accessories, New Product Announcement, Sneak Peek, Technology and tagged Accessories, Cell Phone Stand, iPhone, Mini Megaphone Amplifier, Promotional Products, Silicone, Swag, Technology Accessories by Debco. Bookmark the permalink.